Today is Hatchimals Day, the day that the brand new Hatchimal Hatchibabies are being released here in the UK. 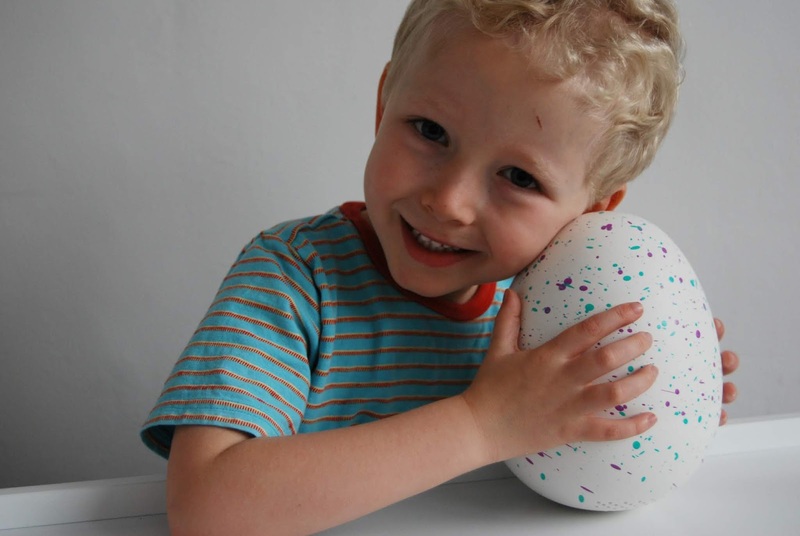 Hatchimals, as you probably already know, have been very popular over the past couple of years, especially at Christmas time. It's safe to say that they've taken the world by storm and they surprise us every year with a new version. 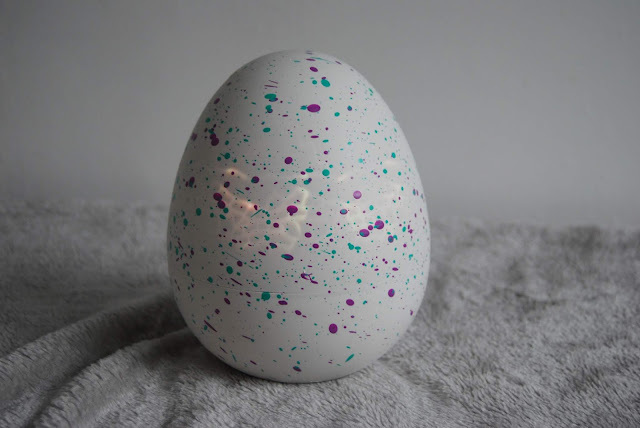 First, there was the original Hatchimal, the following year we were introduced to Twins, and this year, for me is the most exciting! It's all about HatchiBabies! HatchiBabies come in two species, Ponette and Cheetree, but there are also store exclusive's too; Chipadee, Monkiwi, and Koalabee. Not only are there different species to choose from but there now have genders too. 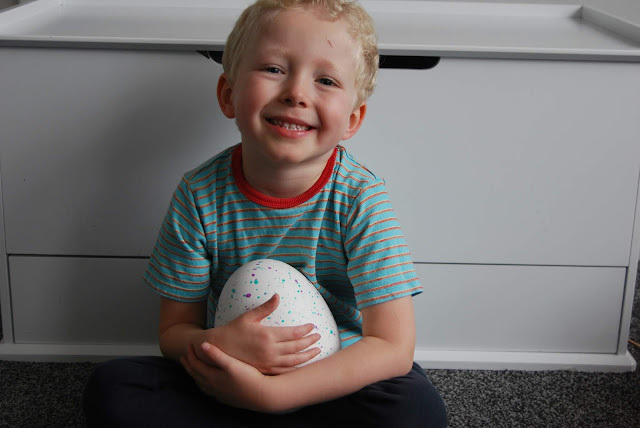 We didn't know if we were going to hatch a boy or a girl and this made everything so much more exciting! Hatchimals HatchiBabies start in egg form and that's when the fun begins! Simply remove from the box, twist and remove the locks at the bottom of the egg and then the hatching process will begin. If for any reason you want to pause the process, hold the egg upside down for 25-30 seconds. The fun starts as soon as the hatching begins. You can hear sounds and music coming from inside the egg, it sways from side to side and you see the HatchiBabies eyes glow from beneath the shell. The eyes let you know how the HatchiBaby is feeling (see below) and your child is able to nurture the egg while it hatches. Eye colour, what it means and what to do. Red / Upset - rock the egg or rub the bottom. Orange / Gassy - pat the bottom or tilt the egg. Yellow / Happy - continue caring for the egg or tilt. Green / Sick - Rub the bottom of the egg. Blue / Cold - Rub the bottom of the egg. White / Sleepy - Tilt sideways or rock the egg to put it to sleep. Pink / Heartbeat - Hold egg and listen for the heartbeat. Eyes off / Listening - Tap on the egg. Noah was very good at monitoring the colour of the HatchiBabies eyes, asking me what each colour means and what to do next. When the eyes started flashing rainbow colours we knew it was ready to hatch. We then rubbed the bottom of the egg to encourage the hatching process and whenever it stopped we just gave it a little tap. That first crack was so satisfying to watch and both kids screamed with excitement! Once it had finished hatching it started to sing "hatchy birthday" to itself, which was so cute! We then pulled off the extra pieces of shell and removed our Hatchibaby from the egg. Inside our egg we found Ponette! With purple fur, rainbow coloured hair, black hands and pink feet, it was just asking to be cooed over. When opening the egg be careful not to discard of it before discovering the extra bits and pieces that are inside. Inside the egg are four accessories hidden within peel and reveal compartments; a bottle, hairbrush, rattle, and cuddle buddy. 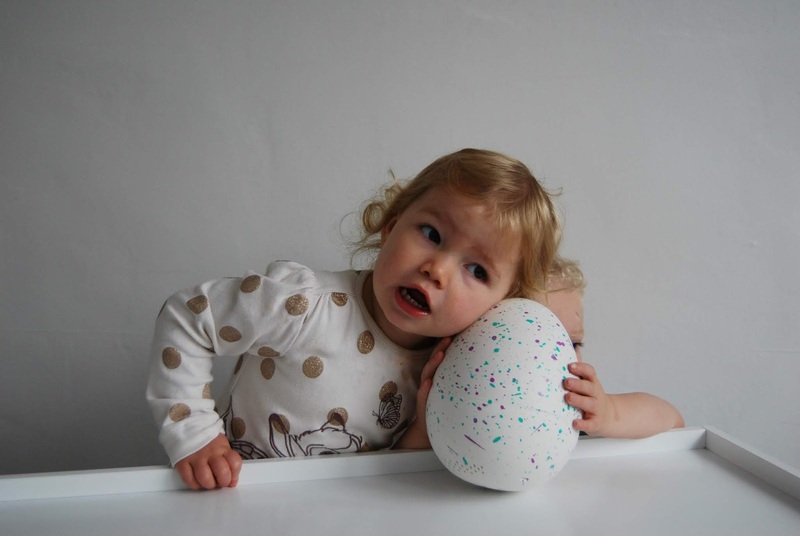 The accessory holder can then be removed from the egg and used as a high chair and the egg base can be reused again as a nest. Last but not least, do not forget about the scroll hidden right in the middle of the base of the egg. The scroll lets you know the gender of the baby and also gives you a clue about the hidden trick that each baby can do. As you can see, our Ponette is a HatchiGirl and she has been called "Mimi!" Just like in egg form, HatchiBabies eyes change colour to show you how they are feeling. Red / Upset - pet or put in egg base. Orange / Gassy - pat the back of my head. Yellow / Happy - continue caring for the egg or tickle my feet. Green / Sick - Touch & hold forehead to take temperature and pet to comfort. Blue / Sad or Scared - Pet or give cuddle buddy. Purple / Hungry - Feed with the bottle. Pink / Cuddly - Pet on the head or nuzzle the nose. White / Sleepy - Put in egg base or give cuddle buddy. Once she was born, her eyes flashed purple, she was hungry. To feed we simply placed the bottle inside the beak and pressed down on the mouth. When her eyes went orange/ gassy she needed to be winded. It's great how the accessories make the HatchiBaby react in different ways. With HatchiBabies the fun really doesn't have to end as there are numerous games you can play with them too. Choose from games such as; Learn to talk, peek-a-boo, dancing, bouncy baby and animal colours. Each HatchiBabies species has its own secret trick. To find out what this is, touch and hold the back of the head, until the eyes turn purple and then tap the back of the head and the forehead sensor twice at the same time. A little tricky at first but it is a secret trick, after all, it's not meant to be easy. Our Ponette plays galloping music! More information on how to play with HatchiBabies is on a handy tips and tricks page. This is great to refer back to while we learn things off by heart. 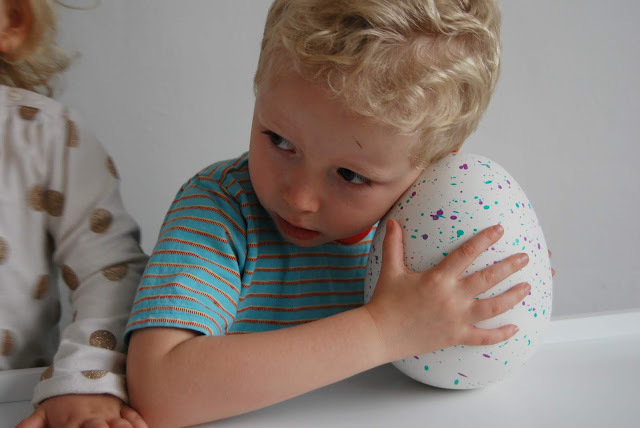 Having heard and read so many positive things about past Hatchimal products we had very high expectations when it came to HatchiBabies. Were our expectations met? Yes, and then some! I'm amazed at how interactive this toy is, it's unlike anything I've come across before and both kids are besotted. HatchiBabies are suitable for children from 5 years old, retail at £59.99 and available to buy now at Smyths, the Entertainer, Argos, and Amazon. Oh! So, so cute. The children would just love this new addition. A toy to be valued. Lots of fun for a little one. Noah seems delighted with this toy. So cute, and quite like a pet.